Who Wants to Buy Apple's iPad? If there ever were a divisive computer, Apple's iPad is it. The iPad, as anyone who follows tech news knows, has riled up the masses in a way few devices can. Some swear it'll revolutionize computing; others see it as an overhyped and oversized iPod Touch. One way or another, nearly everyone seems to have a firm opinion. The real question, though, is who's going to actually buy the thing. Preordered iPads reportedly started shipping today, but the true test will come when the product hits store shelves this Saturday. And, if some new research is to be believed, a very specific subset of people will be lining up to check it out. Screw the euphemisms: The iPad-wanting crowd, according to market research firm NPD, consists mainly of rich Apple fanboys. A report published by the firm finds current Apple product owners are 40 percent more interested in the iPad than their non-Apple-toting counterparts. The other strongest predictors of iPad interest were income -- those who make $100,000 or more are most likely to eye the iPad, NPD says -- and age, with consumers between 18 and 34 expressing the most powerful iPad desires. But could the Apple brand alone really be enough to win people over? According to NPD, maybe. 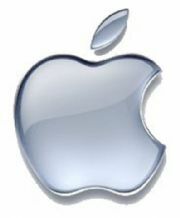 The firm finds the most common reason for Apple owners' interest in the iPad is simply "liking the Apple brand." Despite their high levels of interest, many Apple users may be hesitant to actually shell out their cash for an iPad. Only 9 percent of current Apple owners told NPD they were likely to buy an iPad in the next six months. Sixty percent, in contrast, said they don't anticipate snagging one anytime soon. The most commonly cited reasons among Apple owners: The iPad's too expensive, and a notebook or netbook could accomplish the same types of tasks. Of course, you have to put this research into perspective. 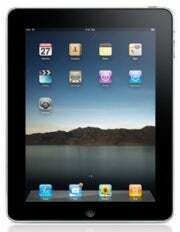 Other analyses say iPad demand is sky-high, with sales expected to reach 10 million in 2010 alone. Some recent reports even suggest Apple's preorder stock of iPads is completely sold out. So will the iPad alter the world as we know it? Or will it just become a limited-scope toy for diehard Apple fans? There may be no firm answer yet, but I have a sneaking suspicion we'll hear plenty more theories between now and Saturday.